Nearly every vowel of English can be pronounced as a diphthong in at least some variety of the language. In fact, modern English largely emerged due to vowels that were once monophthongs (single vowels) shifting to become diphthongs. (The ‘i’ and ‘night’ and the ‘ou’ in ‘mouth’ are two examples of these.) Our language undergoes a perpetual process of single vowel phones evolving into two. In American accents specifically, a specific kind of diphthong emerges. 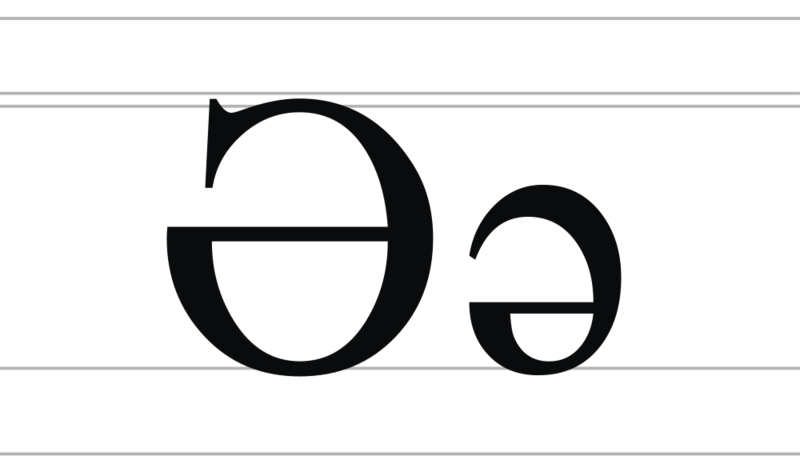 Namely, monophthongs are often followed by a schwa, the little ‘uh’ sound in the word ‘afraid.’ We generally refer to this as a centering diphthong, with the schwa itself an example of an off-glide. Perhaps the most famous example of an American centering diphthong is the New York pronunciation of ‘coffee’ and ‘thought,’ which are roughly ‘caw-uhfee’ and ‘thaw-uht’ (IPA kɔəfi and θɔət). You can find parallels in a few non-American accents; Belfastians can pronounce the word ‘saw’ in a similar way (sɔə) and Cockneys do the same with words like ‘bore’ (bɔə). But in neither accent is this as widespread or systematic as it is in New York. Then there is the ‘a’ in ‘trap,’ which has an off-glide in some accents, ranging from the Inland North to New England and California. Out West, I’ve noticed that it’s quite common for a schwa to follow many short/lax vowels, such as the vowel in ‘kit’ (kɪət) and ‘dress’ (dɹɛəs). Bostonians, meanwhile, can add a schwa after the vowel in ‘lot’ (lɒət), although this strikes as indicative of the strongest accents. To summarize, then, vowels don’t simply become longer in American English; they often become longer and become diphthongs. Why? There are no clear answers, and those that I can think of are mere speculation. As I mentioned, schwa off-glides are typical in Northern Irish accents, and as one of the early settlement groups in the US was the Scots-Irish, one might see a correlation there (although many of these early settlers would have presumably spoken Scots, so maybe not). Earlier varieties of Dutch (an important language in 17th-Century America) would have featured centering diphthongs of the type discussed here. In fact, contemporary Afrikaans features a long ‘o’ sound that is not dissimilar to the New York City vowel in ‘thought’ (oə). This is possibly pure coincidence, and I don’t know enough about 17th-Century Dutch to say if this was a common pronunciation then. Of course, many non-American accents have centering diphthongs as well. British Received Pronunciation has three: the ‘ear’ in ‘fear’ (fɪə), the ‘air’ in ‘fair’ (feə), and the ‘oor’ in ‘poor’ (pʊə). But these all serve a very specific phonemic purpose. 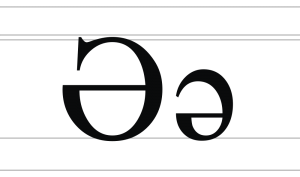 In American English, by contrast, it seems that a schwa or schwa-like off-glide can be tacked on to almost any vowel without it changing the meaning of a word*. So at the end of the day, it’s puzzling why this tendency seems so much a part of the American dialect landscape. Why are we so inclined to add a schwa after vowels? This entry was posted in American English and tagged English schwa, phonetics. Bookmark the permalink. My roommate from Scranton who I mentioned on hear a few days ago often has an ingliding (or centering) diphthong in good [ɡʊəd]. Actually, the offglide often sounds to me more like [ɪ]. I think there may be a tendency in Germanic languages for monophthongs to become centering diphthongs. If you take a look at this, you’ll notice that Frisian, which is the closest living language to English (if you don’t count Scots) has many centering diphthong (and triphthongs). But it isn’t just West Frisian that has centering diphthongs; many of the other Germanic languages on that website do too, at least at the phonetic level. I’m not an expert at Germanic languages though (aside from English I guess). I took 7 years of Spanish. And also, here’s the rest of that website (It’s called Sound Comparisons and it was created by Warren Maguire et al. from the University of Edinburgh). Click on or scroll down to “Other Germanic” on the left side of the screen. You can also click on “Other Languages” at the top of the page and then go to the Germanic languages database which is a bit different. That’s fascinating. It’s pretty fascinating how much similarity it shares with various American regional dialects. Some of the triphthongs are almost identical to those in the American South, while some diphthongs bear a striking similarity to New York. I especially like the way he says fast (well it’s fêst actually). Aside from the s, which is apical like in Dutch, it sounds a lot like a New Yorker or Chicagoan saying fast. I rememberRoger Lass describing a NYC dialect in which bad, bed, bid, bead(? ), and beard were all pronounced [biəd]. I could see that almost being the case with an AAVE-influenced NYC accent. It would require that the strongest of AAVE features and the strongest of NYC features both being present in the same accent, though, which I haven’t encountered. I’ve heard of non-rhotic NYC accents where bad can be homophonous with bared or beard in extreme cases. I have also heard of non-rhotic Southern accents where bid could occasionally be homophonous with beard. However, I haven’t heard what you mention. Although, AAVE NYC accents are kind of a combination of older non-rhotic Southern accents and NYC accents, so maybe Trawicks is on to something. Hmm… I would imagine that would be uncommon. I don’t recall southern drawl being common in non-rhotic southern accents. We need science! Centering diphthongs must originate phonetically from the alveolar or retroflex approximant realization of /r/. This [ɚ] becomes a simple schwa [ə] when rhoticity is lost (in the non-rhotic accents), hence realizations like [nɪə] for “near”. The American accents that have the most prominent centering diphthongs, such as New York and Southern, are the ones that have historically been influenced by non-rhoticity. In Southern, in particular, this has been generalized, and it seems that a monophthong may be replaced by a centering diphthong in a very wide range of environments (including the historically short KIT, DRESS etc. vowels). My guess would be that the centering diphthongs have diffused out of their historical bases in the South and East into other rhotic accents. One possibility that occurred to me while writing this is that, in essence, Americans’ penchant for non-phonemic centering diphthongs is due to a kind of half-hearted vowel shift. That is, as accents go from non-rhotic to rhotic, there are slew of centering diphthongs left over with no place to go. This is perhaps uniquely American, as this is the only country where non-rhotic accents have evolved to rhotic so frequently. That’s an interesting idea, but I don’t understand why you would have centring diphthongs “left over”. Don’t they just disappear forever when an accent goes from non-rhotic to rhotic? That doesn’t explain why Northern Irish English has centering diphthongs though. There has never been R-dropping in Northern Ireland. The phonetics of Ulster Scots are largely the same as the ones its speakers use in English, their code switching is largely a switch of register, with a few grammatical and a lot of lexical changes. I don’t think Ulster Scots is a bar to the Northern Irish influence theory. That said, I like your spreading rhoticity idea more. English has a large number of vowels. British English uses length to distinguish some of its vowels, while American English doesn’t so much, so maybe the vowels are being squeezed together too tightly to remain distinct (e.g., when the length distinction disappeared between /ɔː/ and /ɑː/ on one hand, and /ɒ/ on the other, the phoneme /ɒ/ also disappeared). Possibly diphthongization helps keep the different phonemes of distinct in American English. I have only a nodding acquaintance with Irish, but it seems to contain many diphthongs ending with the “i” in “kit” (in some accents, at least). Could this have influenced the New York diphthongs? First of all I’m glad I came across this blog as I got really interested in dialects in the recent months and I’m dotty about pronunciation. I especially like Cockney, always wanted to speak it and I perceive it as the most “advanced” English accent, though it might not be the case. I wish I knew more about how it developed, eg. if the pronunciation of “o” as /ʌɤ/ came directly from /ɔʊ/ or through /əʊ/. As for the topic, my “college” teacher came here, to Poland, from Omaha, Nebraska, and she often pronounces “but” as /bʌɪʔ/ and “that” (conjunction) as /ðæɪʔ/, prolonging them if she needs time to think before she continues. I’d never heard such diphthongs before. I’m also fascinated with the use of the glottal stop as in her “written” /ˈɻɪʔən/. I wonder how widespread these features are in AmE.